As the temperatures mellow into the bonfire weather of cooler days and crisper nights, you might find yourself wanting to host gatherings outside. 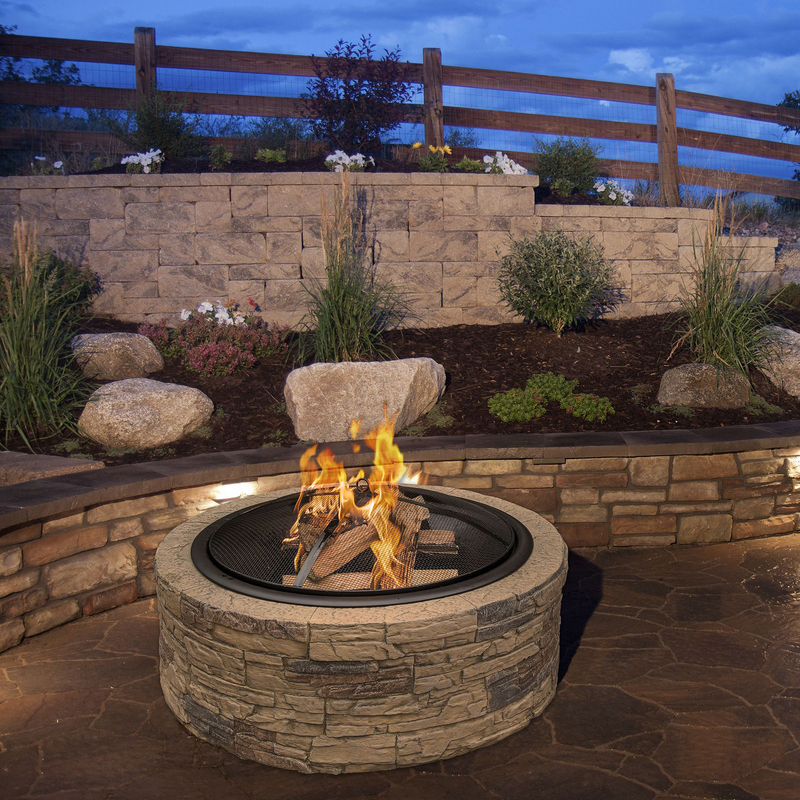 Few fixtures are a more perfect centerpiece for a fall night than the right fire pit. 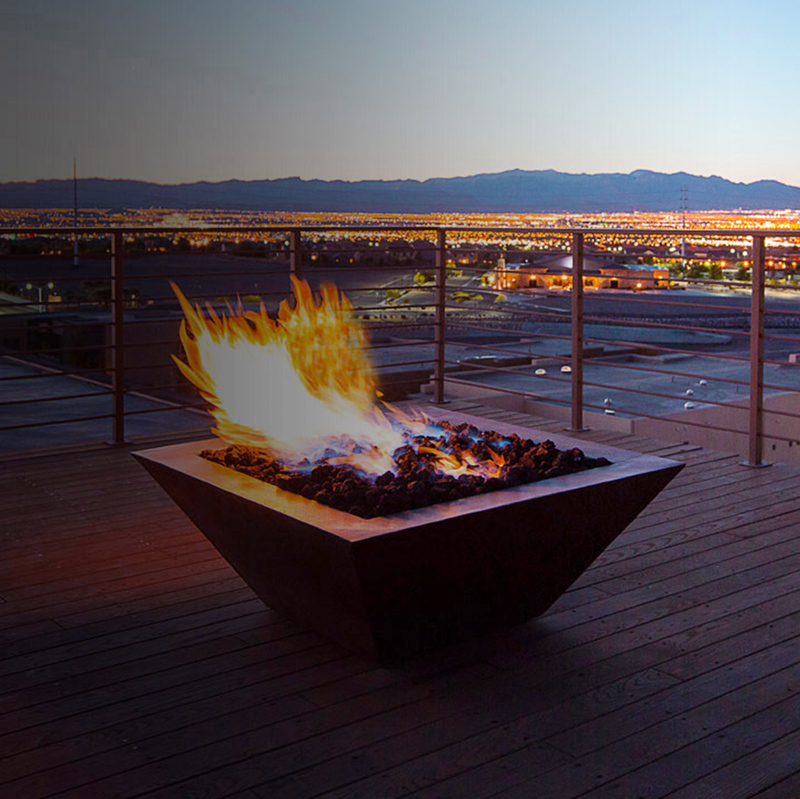 Whether you’re ready to roast some marshmallows, light up your patio or settle in for some conversation around the glowing embers, here are a few options to consider for installing your new favorite fire pit. Your first consideration will be choosing a fire pit design that is well-suited to installation in your space without taking up too much room– or causing a fire hazard! If you have a lot of outdoor patio space, a classic circular stone fire pit might be the logical route to take. There can be a lot of variation within this basic design, from cemented rough cut stones to uniform flagstones. Stone fire pits are durable, easy to clean and hold heat for a long time. For slightly smaller spaces, you might want to opt for a self-contained, freestanding fire pit. From simple copper to intricate latticework, these fire pits also give you a lot of aesthetic freedom to match the vibe of your home. If you want something more modernist, round concrete fire bowls can also be cast in a wide variety of sizes to fit your needs. 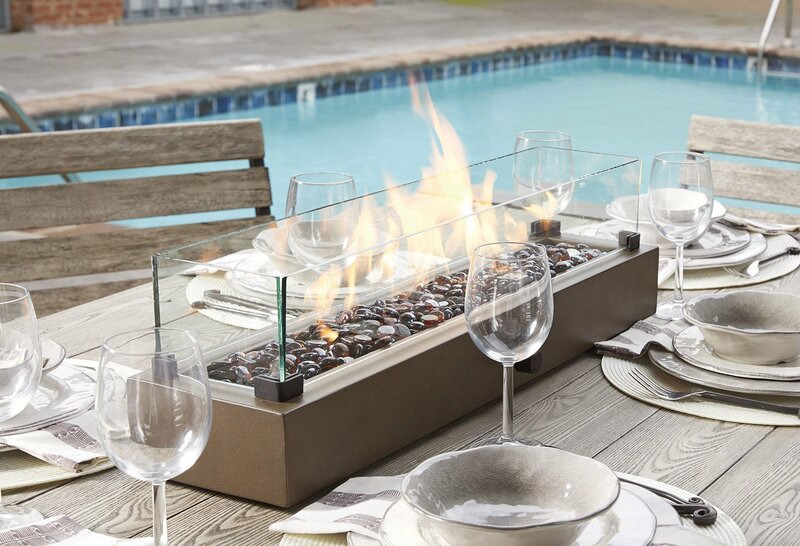 Even if you have extremely limited outdoor space, you don’t have to give up on having a fire fixture! Fire urns and tabletops are on the rise, providing a way to work some flames into even the most space-constricted areas. No matter what type of firepit design you choose, you’re going to have to fuel the fire. There are more options on the market than you might have realized. The obvious classic is wood burning fire pits. In addition to being the easiest type to install and to use, wood burning fixtures have a certain classic character that’s hard to synthesize in any other way. The fact that they can be entirely unplugged and self-contained also gives you freedom of placement. Especially if you plan to do any cooking over the fire, this is going to be a great option. Gas fire pits do certainly have their benefits as well, however. Although you’ll need the professional you hire to carefully hook up the fixture to a natural gas or propane line, after that is done, gas fire pits are very low-maintenance. Because their fuel line is connected, you won’t have to worry about gathering fuel yourself. This type of pit tends to be a lot safer, as gas flames burn lower and at a much more consistent rate and height. As the tabletop fire installation trend continues to rise, it has largely leaned on another type of fuel: gel fuel. The gel in question is made from alcohol or ethanol, and it burns without smoke or scent. You might have seen it being used before in catering contexts to keep food warm. 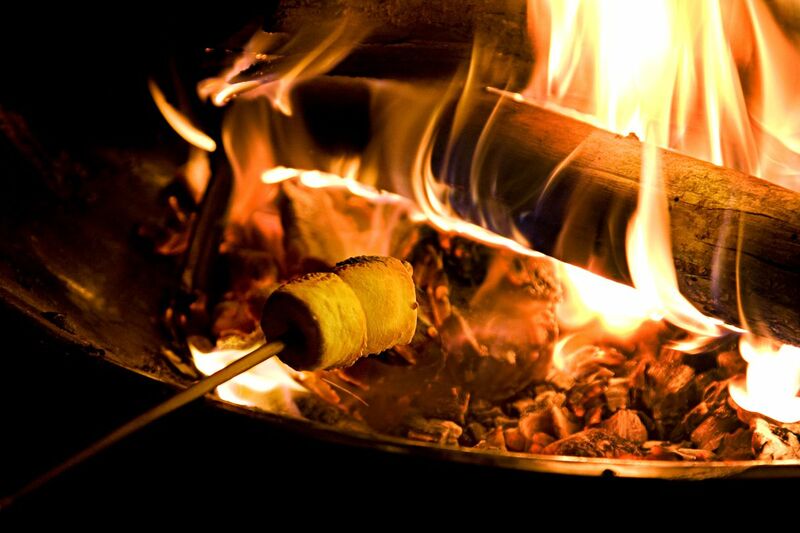 Gel can be an option even if you are installing a more traditional fire pit rather than a tabletop or urn; you can purchase gel logs as well as crystals. Whatever option you end up choosing, you’ll want to be sure that you have professional help in making sure it’s safe and able to last for years to come. Talk to us if you’re ready for Walgrove to light up your personal landscape!